Very pretty, nice way you have put the flowers. That's very pretty - love the flowers. 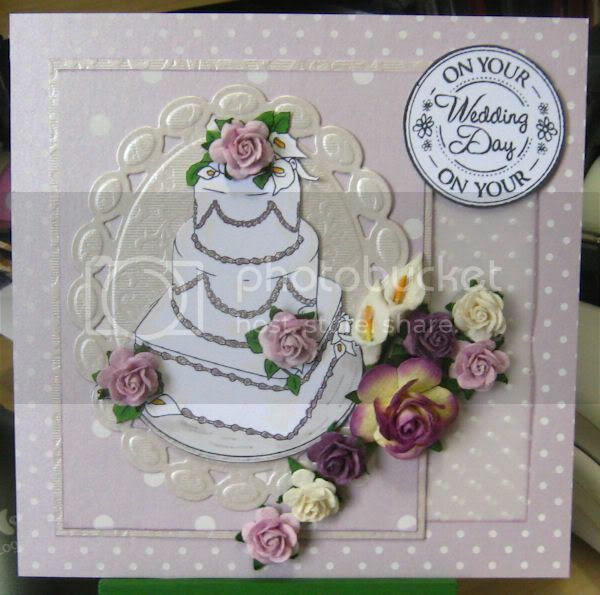 Not your usual style, a pretty card though, you wouldn't get something like this in the shops, and if you did, I hate to think what it would cost, you'll sell this one quickly methinks. What a lovely card, love the flowers.